As you all know already I'm at the IOW Festival this weekend and I've been having the best time! Although this morning I actually started my new job at 8:30am .... Not the best timing but still - gotta do what you've gotta do! 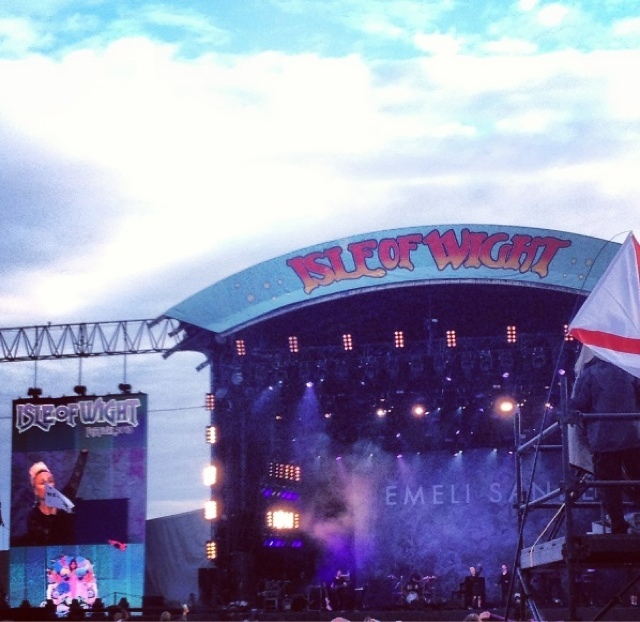 This is a photo from Emeli Sandi's performance yesterday evening, she was really good - I then went into the big top tent to watch FUN - who were amazing, I'm so so glad I went to watch them! On my lunch break and preparing myself for 5:30pm when I can head back over the the festival site to see The Killers and have a good old dance with my friends! Hope you are all having a great weekend! Catch up here, Days - 1, 2, 3, 4, 5, 6, 7, 8, 9, 10, 11, 12, 13, 14. Wow looks so cool! Haven't blogged in a while, whoops! 30 Day Snap #23 - "Choices In Life"
30 Day Snap #14 - Wellingtons are a must. 30 Day Snap #10 - Who Run The World?